UltimateZip es un compresor y descompresor compatible con los formatos más habituales, además de otros menos frecuentes, y que destaca por la variedad de accesorios que ofrece. Con UltimateZip podrás abrir y crear archivos comprimidos en varios formatos, ver su contenido en el caso de tratarse de imágenes, navegar por las carpetas y subcarpetas, etc. En UltimateZip también encontrarás protección con contraseña para los ficheros comprimidos, lista de favoritos, creación de comprimidos por lotes, comprobador MD5 y reparador de ZIP. UltimateZip también ofrece una herramienta de copias de seguridad, si bien es bastante rudimentaria. UltimateZip is a perfect compression utility that supports a wide variety of archive types, creates self extracting archives, integrates with mail and virus scan, and integrates with Windows Explorer. UltimateZip has you all the features you need to archive, encrypt, share and shrink your files and documents. With it's flexible and intuitive user interface, UltimateZip is easy to use for first-time users and offers many useful features for power users. 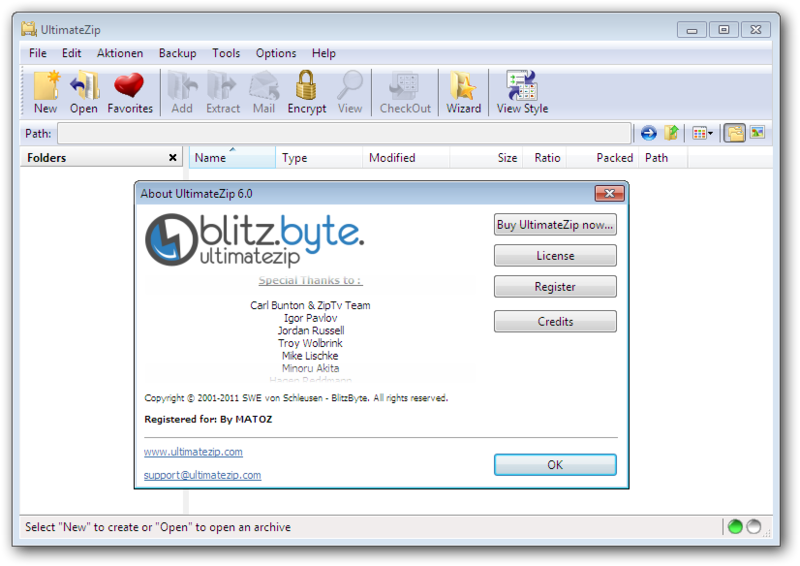 UltimateZip perfectly integrates into the Windows Explorer, creating or extracting is just one mouse click. UltimateZip 6.0 (Now with ZIPX Support!) is the best version to date. It is extremly fast and easy to use. Even first-time users can create or extract archives of any kind in seconds. UltimateZip has a highly optimized ZIP/7-ZIP engine, with it's Multi-Core Support the complete power of your computer will be used. 0 Response to "UltimateZip 6.0.0.87 (NEW)"